DOCTORS fear two-time PBA MVP June Mar Fajardo is out not only for the Philippine Cup Finals against Alaska but also Gilas Pilipinas' coming campaign in the Fiba Olympic Qualifying Tournament in July. Sources from the San Miguel Corp. camp bared that an MRI scan done on Fajardo's left knee at the St. Luke's Hospital on Friday night revealed a partial tear on his anterior cruciate ligament (ACL). Fajardo's left knee has been put on an immobilizer, the source added, and the 6-10 national player can’t walk without the aid of crutches when he left the hospital early Saturday morning. San Miguel has yet to make an official announcement at posting time. 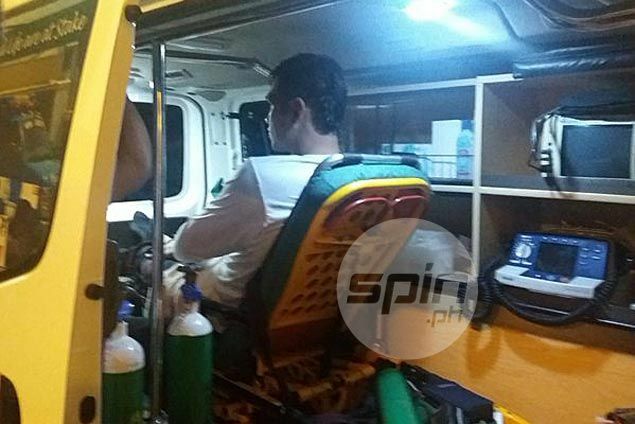 The real extent of the damage - and the time Fajardo will have to sit out - will be known in a second check up with famed orthopedic surgeon Raul Canlas on Monday, the source added. While Fajardo is almost certainly out of the PBA Finals, his stint with Gilas will largely depend on the nunber of fibers torn in the ACL - and the time it will take for him to recover. “Hindi pa alam ng mga therapist kung ilang fiber ang napunit, 'yun ang aalamin ni Doc Canlas sa Monday,” said the source. “But definitely, malabo na siya sa finals kasi hindi talaga siya makalakad." The injury happened at the 7:22 mark of the third quarter of Game Six, which saw a Fajardo-less San Miguel complete a 90-82 victory over Rain or Shine to clinch a place in the best-of-seven finals. In the sequence, Fajardo apparently hyperextended his left knee when he came into contact with the legs of Rain or Shine guard Jireh Ybanes, who tried to box him out in a rebound battle. Former Red Bull Thunder team doctor John Lim shook his head upon hearing about the extent of Fajardo’s injury. “Depende kasi sa damage 'yan at dami ng napunit na fiber. Pero hindi siya makakalaro kaagad definitely. Depende kasi sa gravity ng injury 'yan,” said Lim, who stressed that the ACL is the most sensitive part of an athlete’s knee. “Normally kasi, pag partial tear at walang gaanong punit, three to six weeks 'yan. Mamamaga yan at sasakit pa ng matagal-tagal. Pag 50 percent ng fiber napunit, mga atleast two months 'yun. Full ACL tear kasi six months recovery and therapy yun,” he added.